Pick up from Kilimanjaro Airport after the arrival time of your flight and transfer to Arusha for overnight. Proceed with early evening pre-trekking briefing at your lodge. Dinner and overnight stay at your place of accommodation. Meal plan Bed & Breakfast. After morning breakfast drive to Marangu gate as from 0800 hrs which is 1800 m above the sea level. After processing the permit start walking at this Coca-Cola route through Mountain rain forest to Mandara Hut 2700m from the sea level for dinner and overnight stay. It covers a distance of 7 km which takes 3-4 hours. Overnight at Mandara Hut. After breakfast start walking through health and moorland to Horombo hut 3700m from the sea level with picnic lunch boxes on the way. Dinner and Overnight stay at Horombo hut (distance of 9 km which takes 5-6 hours of trekking). Overnight at Horombo Hut. 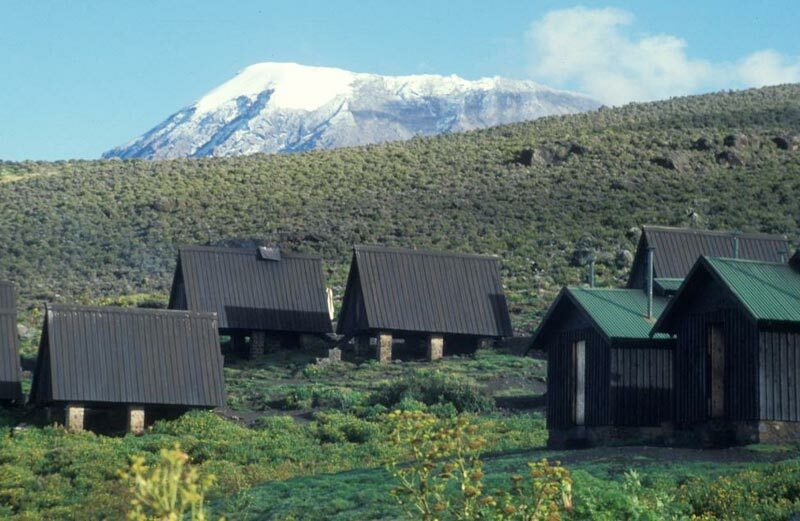 After breakfast we start our walk to Kibo hut which is 4700m above the sea level at 8 am. On this day we walk through the saddle and in the apline climate. Dinner and overnight stay at Kibo hut. The walking takes 5-6 hours and covers a distance of 5-9kms. At midnight after light preparation we start our final ascend to Gilman’s point 5635metres from the sea level then proceed to Uhuru peak before we descend to Kibo camp for hot lunch and then proceed to Horombo hut for dinner and overnight stay. It takes 10-12hours walking which covers a distance of 7-8kms. After breakfast we descend to Marangu gate via Mandara hut for clearance and being given a certificate as a sign of conquering the highest peak of Africa. Drive back to Arusha for dinner and overnight stay at your place of accommodation (Bed & breakfast). After breakfast leave the hotel for light shopping then transfer to the the shuttle for departure to Nairobi depending on your arrangements.